On Saturday morning I ran the five mile Running of the Green race for the fourth time. My finish time of 42:19 was quicker than last year, but still behind my time from 2016. The race had pace leaders this year, and while I wanted to run eight minute miles, that felt like starting far too close to the front. Inevitably I ended up catching up him by the first mile anyhow. I fell back from this pace before the turnaround, but I still felt good with my speed overall. The run felt pretty consistent and was a finish time I was ok with given my limited winter training. On Wednesday night I returned to Webster Park to run my second Snow Cheap race of the year. I finished in 30:51 which was a bit quicker than my time from January which I think was the same course but in the opposite direction. The hallmark of this race was the snow and ice. The weather had calmed down by the time the race started, but for those of us without metal spikes in our shoes our top speed was pretty limited. I slipped twice during the race, and had to walk a few of the inclines just to avoid sliding down. Webster Park is one of my favorite places to run and hopefully I can get back there again after all the snow has melted. Wednesday night I ran my first race of the year in Webster Park. While advertised as a snow race, everything had melted resulting in a run through the mud (and the dark). I finished the three and a halfish mile race in 34:27. It has been almost 4 months since my last trail race so it was nice to be running through the woods again even if I couldn’t quite see where I was going. I did split my head open after failing to duck a branch, but what slowed me down the most was the mud. It was hard to find traction, and often dark enough that you wouldn’t see the pits you were running into in time to avoid them. No plans yet for my next race, but I am hoping to run at least 20 in 2019. With the year coming to a close it is time to look over the past year of running. I ran 23 races this year so my racing miles remained high even as it felt that my training miles were lower than in years past. I completed a few new races this year including a 25k, a 14 mile trail race, a taco eating race, and a duathlon. 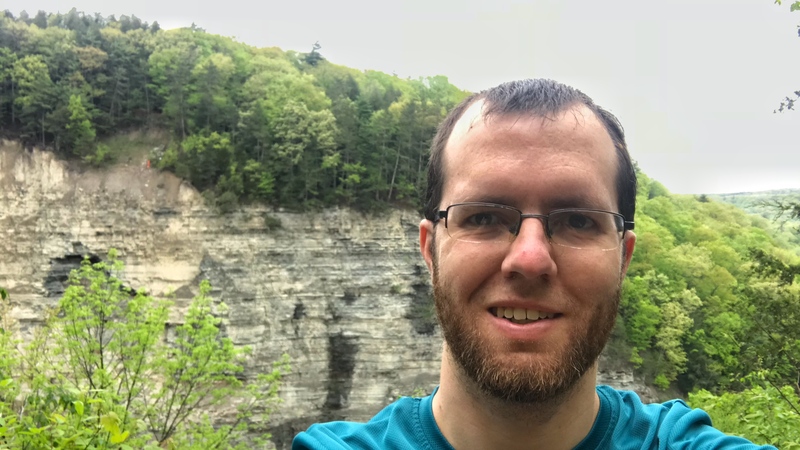 I didn’t set any personal records at the standard distances, but I did improve upon previous years on the trails at Mendon Ponds and Bristol Mountain. 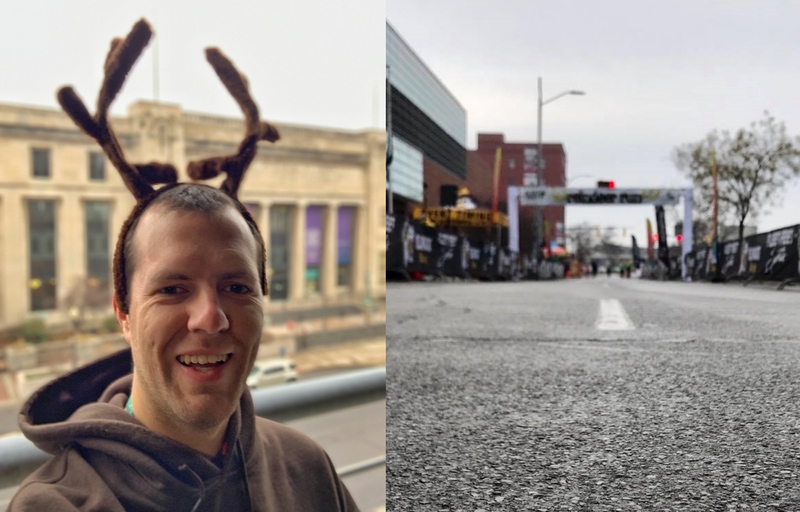 On Saturday morning I ran the reindeer run 5k in a time of 24:24. This was only my third 5k of the year, and a little quicker than I did in June, and a little slower than I was in October. This was my first time running this race, but the course goes through downtown and is kindof similar to the St. Patrick’s Day race so I was familiar with the course. The weather was really great for December although there was a little bit of ice on the trail just past the half way point. Overall, I feel like I am still not quite suited for the 5k distance. I can’t really push myself to be all that much faster than my half marathon pace. Or maybe I felt off because I ran the race wearing reindeer antlers. I’ve never done that before. Thursday morning I ran the Buffalo Turkey Trot for the ninth year and finished with a time of 42:02. This was a little slower than last year, and for that I mostly blame the cold. With a race time temperature of just 16 degrees, I believe that this is the coldest the race has ever been since I started running it. The race also got off to a late start, which only increased the amount of time we had to stand around in the cold. Once the gun finally did go off, I still took over six minutes to reach the starting line which also made the run more difficult. 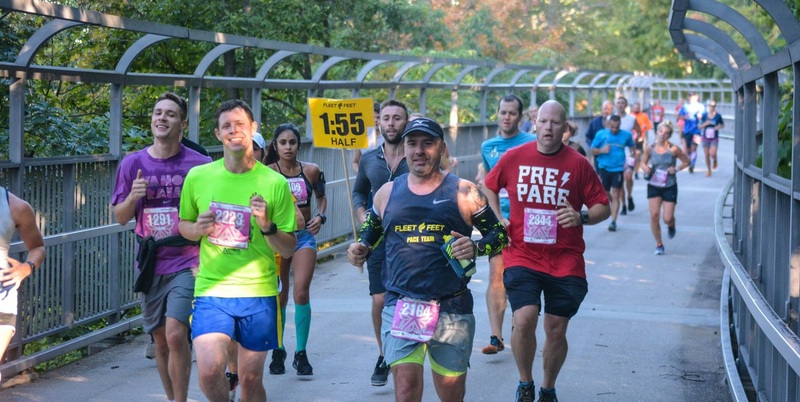 This race has always had a large number of people who have no idea what they are doing, but getting stuck starting so far back only increased the number of walkers and oblivious runners that I had to deal with. As such I could barely run the first mile, and I was still ducking and weaving around all the way to mile three, at which point the race is already more than half over. Once I finally had a little room to run, my feet went numb from the cold, so I never really got a chance to push the pace anywhere on this course. Maybe next year the weather will be nicer, and I will have the opportunity to push for a better time. Sunday morning I returned to my alma mater to run the Brick City 5k at RIT. I finished the run in 23:36 which was a little slower than I had hoped for, but my quickest 5k in a long while. I was a minute and a half quicker than I ran the Airport 5k earlier this year, and about the same time ahead of my finish on this same course last year. I have really not gotten used to the quicker pace of these shorter races. I started out trying to keep up with the front runners, but that only lasted about half a mile. After that I just tried my best and pushed a bit to pass a few runners at the end. On Saturday I ran the inaugural CanLake25k and finished in 2:32:48 quick enough for fourth place. The previous three years I ran the 50k, but after not feeling great after Wineglass I decided to drop down to the new shorter distance. In order to share the course with the ultramarathoners the race had an odd 1:00 start which was fortuitous as it allowed me to miss the early morning rain. I wanted to treat the race like a half marathon and really go after it, but instead mostly kept to a comfortable pace. I felt good off the start. No part of this course is flat, but there was a certain joy in being able to take in a course I know well at a quicker pace. I felt a bit guilty passing the 50k runners with my fresh legs, but honestly without them on the course at the same time it would have been a bit quiet. Bare Hill is the largest climb on the course. While reaching the hill after 30km it was an obvious place to walk, but after just 5k I felt that running up the hill would be a good plan. About a third of the way up I realized that I was draining myself for no reason and that it would be best to just power walk to the summit and move on from there. It really is a bear. My 9:50 per mile pace was a minute slower than I ran the rochester half, so I probably should have gone a bit quicker, but the miles flew by compared to seeing the same landmarks when running the 50k in years past. Given the shorter distance and the fact that there were some water stops along the way I decided not to carry any water. Still not sure if that was the right decision or not. I finally got passed about two miles from the finish. For a little while I kept up the idea of fighting for that position, but he had pulled a bit ahead of me before the final downhill and I didn’t have any sprint left in me anyhow. 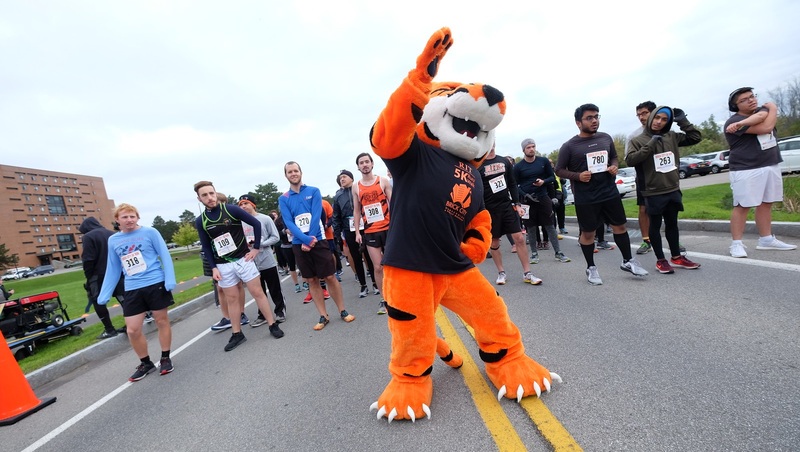 My next race will be the Brick City 5k at my alma mater of RIT. On Sunday I ran the Wineglass Marathon from Bath to Cornell. I finished in 4:38:12 and while this was slightly slower than I was hoping for, it was only six minutes off from my PR. Despite things not going well in the final 10k, it was actually a fairly good time a quite a bit quicker than my marathon from earlier in the year. The day before the race the forecast called for no rain. An hour before the race the forecast said that the rain would stop soon. Instead it rained all day long. Normally I like to run in colder temperatures, but combined with the rain it was very cold at the start and never really got significantly better. However for a marathon I guess being too cold is better than being too warm. I started the race with the 4:20 pace group, and the first mile felt really easy. I did a good job staying with the group and hit the 10k mark just under 62 minutes. By mile nine I was feeling good and pulled ahead of the pace group a bit and would stay ahead of the pace group until mile 18. I reached the half way point in 2:09:34 still feeling good, but also realizing that this course wasn’t as downhill as promised. 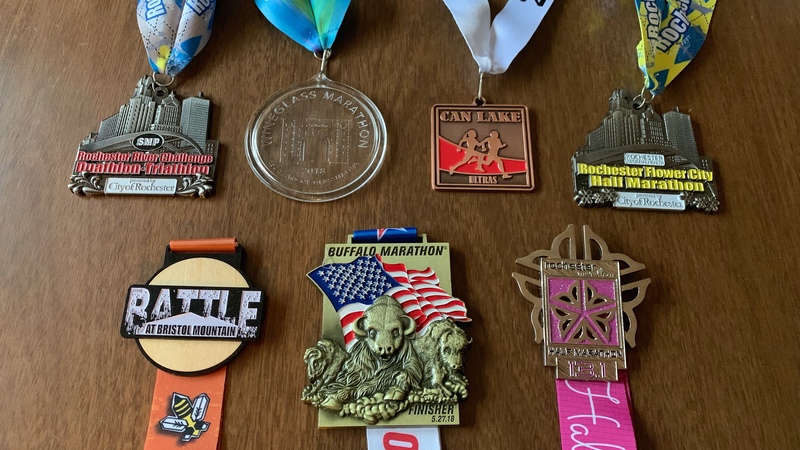 While far short of the hills on the Rochester marathon course, Wineglass includes a fair number of rolling hills that keep the course from really being all that much easier than a flatish marathon like Buffalo. By mile 17 I was starting to feel tired and knew that eventually I would have to slow down a bit. I maintained pace for a sub 4:20 marathon up until the 30k point and then backed off a bit. I started walking a little after 20 miles, but by the 35k mark I was still on pace for a 4:28 finish. Unfortunately I just couldn’t quite keep that up and ultimately crossed the line in 4:38. Still there were some good things to take away from this race. My pacing through the first 30k was strong and steady, and a pace that I would be comfortable staying at for my next marathon. Also my time of 2:28 for the second half is actually the quickest I have ever ran the back half, and therefore this was also the closest that I have ever come to having even splits at this distance. 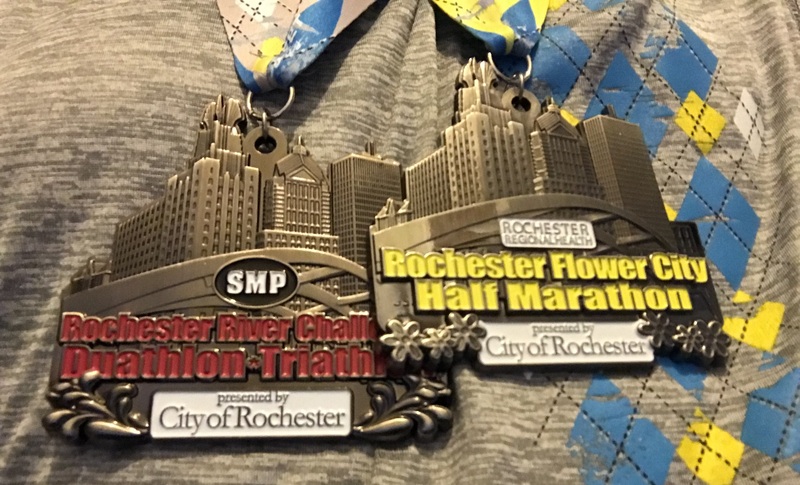 The first Half-Marathon I ever ran was the Rochester Half, way back in 2013. I have ran the full marathon every year since then, but this year returned to the half. The course has changed since the last time I ran the half to include a lot more hills, but I was excited to attack a course that had required me to pace myself for the full distance. I ran the half in 1:55:33 which is about seven minutes back from a PR, but much better than I did in the Flower City Half this spring. Overall I finished in 281st place which places me just outside the top 20 percentile of finishers. My plan was to begin the race on pace for a 1:50 finish, knowing that the hills would slow me down later on. I felt surprisingly good at the start and ran the first 5k in 25:13 which put me on place for a 1:46 PR had I been able to keep it up. (And only six seconds behind my finish at the Airport 5k). The first two hills went ok. Knowing that I didn’t have a second lap coming this year allowed me to confidently attack the uphill portions without having to worry about wearing myself too thin. I crossed the 10k mat in 52 minutes, ironically four minutes ahead of my time from 4th of July. The second half of the race I continued to slow down a bit, but mostly kept moving. At the final big hill, I walked a bit to drink some gatorade, but ran up the rest of it, which had always been unthinkable when running the full distance. I didn’t have any real kick left for the end, but overall I was pretty happy with my time. This was easily the best performance that I have had at a road race in 2018. Next week I am running the Wineglass Marathon from Bath to Corning. 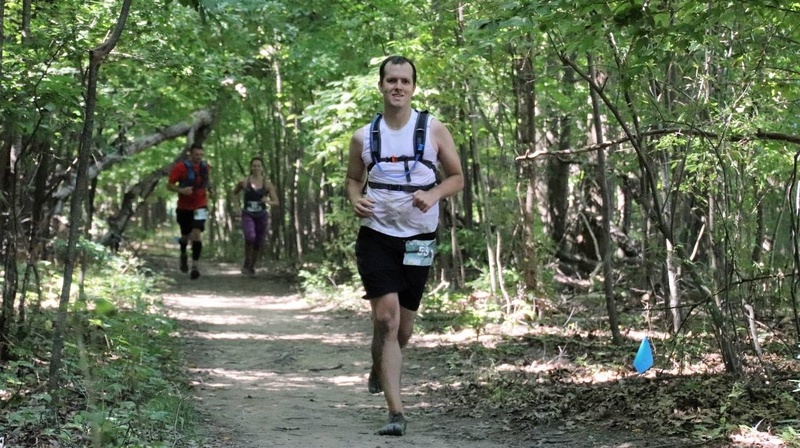 On Wednesday night, I ran the final dirt cheap trail race of the year at Mendon Ponds Park. This was my fourth straight race on trails, and my third race of the year at Mendon Ponds. I finished the race in 51:35 which is a PR for this course, coming in 23 seconds quicker than last year, and five seconds quicker than 2016. Overall I finished in 67th place, although my slightly quicker time was probably mostly due to the maintenance that has reduced the mud on some of these trails. This race was extremely warm, and despite being a 6pm start in September, was very possibly the warmest race that I have ran in all year. Perhaps even warmer than 4th of July. Still it was an enjoyable run with the trails in better conditions than years past, and the first trail run in a while in which I didn’t trip and fall. I handled the hills fairly well, although I did walk some of the steeper ones. This will be my last race until the Rochester Half-Marathon, and Wineglass Full-Marathon at the end of September. Wednesday night I ran yet another trail race at Black Creek Park. This was part of the Dirt Cheap trail series, and a good bit shorter than my last two trail races. I completed the run in 46:00, which placed me as the 100th finisher. My time was quicker than last year, but this is rather meaningless as the course was a bit shorter. The weather was great, and the trail was fairly dry, so everything was set for this to be a good run. However, for some unknown reason I couldn’t get mentally ready for this race. My overall finish time and placement points to my pace being roughly as expected, but I just felt slow. The second time up the hill my legs felt dead, although I did manage to run all the way up. (If this was tactically a good idea is probably up for debate). The next dirt cheap race is September 5th, although I may run another race before then. On Sunday morning I went down to Mount Morris to run the Dam Good Trail Race in Letchworth. I ran the 14 miles in 2:43:10. Having never ran this course before, I don’t have a time to compare to, but my per mile pace was a bit quicker than the 12 mile Mendon Mauler I ran a few years ago. 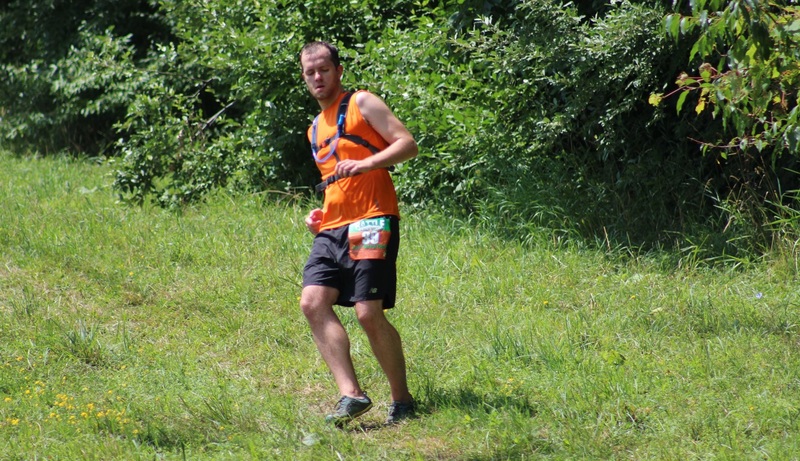 The trail on this race got narrow quickly, but I felt like I started off running at a decent pace. Unlike my last race at Bristol mountain the course was largely runnable, and while far from flat it didn’t have any major hills. 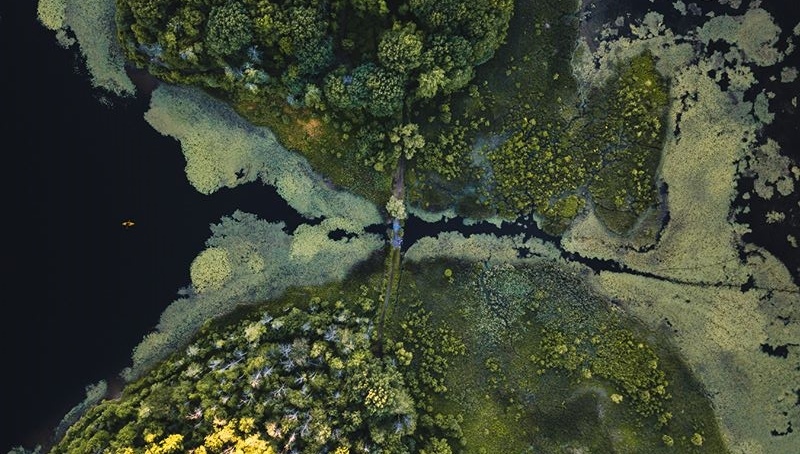 In fact the worst part were these small creeks that were roughly the size of drainage ditches, but required you to drop down suddenly and then climb up the other side. I fell twice in the race. I bounced up quickly from the first one around mile three, but I felt that my pace was a bit slower afterwards. The second time I tripped was near mile 13. I went down hard this time (my side still hurts a little), but I was close enough to the finish that I was able to just push through the final mile. 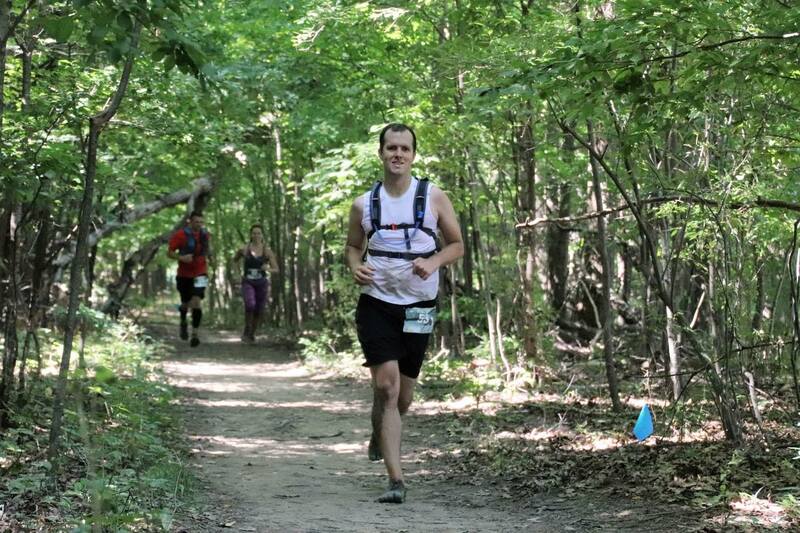 My next race will once again be on the trails, as I run the Dirt Cheap at Black Creek Park on Wednesday night. On Saturday I returned to Bristol Mountain for the third year, running the same half-marathonish distance as last year. After spending most of the month in Europe, and having a bit of a cough all week, I almost didn’t run, but given how fun this course is and how great the forecast looked, I decided that I couldn’t pass up this race. I finished in 4:20:54, which is miraculously two minutes quicker than last year. So overall, I have to say that I am pretty happy with my time in the race. On the opening climb I started out more constrained than last year, which I would like to think was me being smarter, but was probably just due to being under trained. The rest of the first loop went consistently, with a steady attack on the downhills, and a slow but consistent push on the uphills. Downhill number three, which gave me so many problems two years ago in my 50k attempt passed without incident. I slipped once on the fourth downhill, but that was my only fall the entire day. I finished the first loop in 3:13 (one minute quicker than last year), and the shorter second loop in 1:07 (also a minute quicker than last year). While the improvement was small, this was the first race in a while where my times were heading in the right direction. On the Fourth of July I ran the Depew/Lancaster 10k for the 8th time. With the oppressive heat, this was one of my slower times on the course taking 56:14 to finish. The first two miles went pretty well at an 8 minute pace, but after that the heat started to catch up to me. The worst part was (as always) the fourth mile down columbia. While much of the slowness was due to the heat, I wish my finish had been closer to previous years. Next week I am off to Europe, so it will be awhile until my next race. On Wednesday night I ran a trail race at Lucien Morin Park. I finished in 45:45 which was a bit slower than I was in the past few years. The race started in waves, and I was stuck in the awkward position of being one of the faster runners in the second wave. I spent at least the first half mile in second place and feeling the pressure to set a good pace. Halfway through the race I noticed that my car key was no longer in my pocket, which was a bit concerning. The second half of the race was tougher for me as I was physically drained from going out too fast, and mentally drained trying to figure out how I was going to get back home without my keys. I couldn’t even bring myself to give a full push for the final stretch as I already knew that my time wasn’t great, and I anticipated having to rewalk half the course looking for my key. Fortunately someone had found my key, so there was no further drama, but it had given me a scare for half of the race. My next run likely won’t be until the 10k on the Fourth of July. Yesterday I went to the airport to run a 5k. I finished in 25:07 which was slower than I had hoped for, but a bit quicker than my last 5k. This was a race that had been on my radar for a few years, but just never quite worked out until now. Unfortunately I only signed up two days ahead of time so I didn’t have any time to do any speed training to take advantage of the flat course. My next race will be the opposite of flat, as Wednesday will be a return to the trails for a run in Lucien Morin Park. 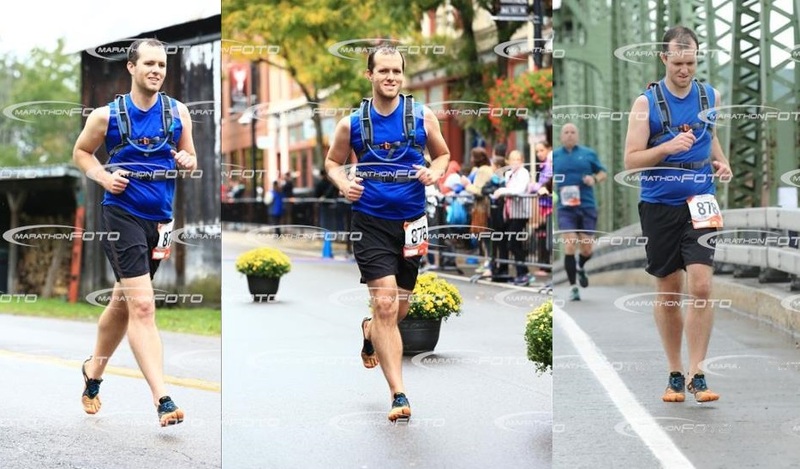 On Sunday I finished the Buffalo Marathon for the fourth time. I finished in 4:56 which is far from a PR and my slowest time on this course. Unlike last year when I set a PR, I knew that my training wasn’t any good coming into this race. Still I proved that I could complete a marathon without really training, and still reached my goal of coming in under five hours. The plan was to run steady with the 5 hour pace group, but I got stuck at the back of the starting queue and by the time I caught up to them that pace felt too slow. Despite trying to pace myself, I actually started picking up speed passing both the 4:50 and 4:40 pace groups, and posting my quickest split between the 10k and 15k timing mats. By the out and back just before mile eleven I caught a glimpse of the 4:30 pace group and realized that (by chip time) I was actually on track for a PR. I began wondering if I could maintain even splits for the rest of the course. Spoiler alert, I could not. The course inexplicably doesn’t have a splits at 13.1 miles, but my 20k split implied a sub 2:15 pace for the first half. I began slowing down on mile 15, and just short of mile 17 I walked a bit and unhelpfully calculated that I could walk the rest of the way and still finish before the course closed down. Still I didn’t really fall apart at any point in the race and ultimately even ran the final mile a bit quicker than last year. Hopefully I will actually be able to train for my next marathon, which at this point looks to be the Wineglass Marathon in the fall. As a 3.5 mile tuesday night race, the corporate challenge really is a unique race. This past tuesday I ran the race for the second year in a row, finishing in 28:27 which was disappointingly a bit slower than last year. Initially I had considered taking it easy for this race, however the weather was pretty perfect for a run, so I decided to be more aggressive. Now I will get back to resting as the Buffalo Marathon is only a few days away. On Sunday I ran the Middle Falls 10K at Letchworth Park. I finished in 57:33, which due to the elevation was a decent time and put me into 17th overall. The course was an out and back and started off aggressively downhill. I was running in the top six for the first mile, and while I knew that it was an unsustainable pace the downhills made it feel easy. I reached the half way point in 15th, and if not for a steep uphill for the last quarter mile, I would have put together a fantastic split time. Of course when an out and back starts out downhill, you have to run back up for the second half. While I had expected half the field to pass me on the way back, instead I held my own, not seeing anyone at all until two runners passed me in the final half mile. I was happy with how I did in this race, particularly because I hadn’t decided to enter the run until I decided that I couldn’t pass up an opportunity to go to Letchworth. Wednesday night I ran the second Dirt Cheap race of the year at Durand Eastman Park. I finished the run in 46:21 which was quicker than 2015, but slower than I was the past two years. I was thankful that this trail was more dirt than mud, yet I tripped once a little over halfway through. Overall I felt ok, but am feeling unprepared for the Buffalo Marathon at the end of this month. On Saturday night I ran the Taco de Mile which was a one mile run that involved stopping every quarter mile to eat a taco. I finished this event in 11:24, which like, I guess is a good time. I finished 36th out of over 300 although I am pretty sure that doesn’t count for anything. I showed up for the race dressed as if I was about to run a marathon, which made me feel a bit silly about the whole thing, but I own dedicated running clothes and not any taco eating clothing. The first half of the race went smooth, although I did feel a little silly stopping for water after only a quarter mile. However by the third taco I was breathing heavy and eating a bit slower. Still I pushed through because it was only a mile. My next run is the Dirt Cheap Trail race on Wednesday. For this one, I won’t eat until after I am done. On Sunday I ran the Flower City Half Marathon for the fourth time and finished with the slow time of 2:10:55. This is disappointing because I have set a PR in this race every other year, and was even a minute behind my time from the 2014 Buffalo Half. Given that my weekly mileage is in the single digits, and that my 15k race from a month ago implied the exact pace that I ran, it was still a disappointment. I started out the race with the 1:45 pace group. However, while I usually need to hold back to stay with a group through the first few miles, I instead found myself pushing to keep up. After the first mile, I realized that my pace was not sustainable and I fell back. The 1:50 pace group passed me before the 5k mark, and the 2:00 pace group passed before the 10k point. After that opening mile, I feel that my pace was actually pretty steady the rest of the way. The only exception being that I was a bit more prone then usual to grab a drink from the water stops as I knew that my time wasn’t going to be great. My next race is going to be the Taco de Mile for which I have zero expectations, and the foreknowledge that my time will be rather meaningless. © 2019 Running with Eric.